Wallpaper and paint can help you to create an aesthetically beautiful living space but it is the soft furnishings that make a house a home. Plush rugs, cushions in various colours and textures whilst not forgetting luxurious throws, add the finishing touches to your décor as well as comfort and luxury. With such a huge array of soft furnishings to choose from, finding the perfect pieces to complement your space can be challenging but thanks to our handy guide, picking out soft furnishings for your home is surprisingly simple. Here at Graham & Brown, we love the timeless look that a neutral décor scheme brings to a room but if you wish to add a pop of colour to your bedroom or living room, soft furnishings are the key. Committing to a coloured wallpaper or paint can often be daunting and cushions, throws and rugs offer the perfect way to experiment with adventurous colour schemes and prints. While colourful cushions and throws are an easy way to brighten up a room, each piece that you choose should complement the tone and purpose of the room. Our Drama dark grey rug will create a striking contrast with cooler grey tones and can’t fail to make an impact. 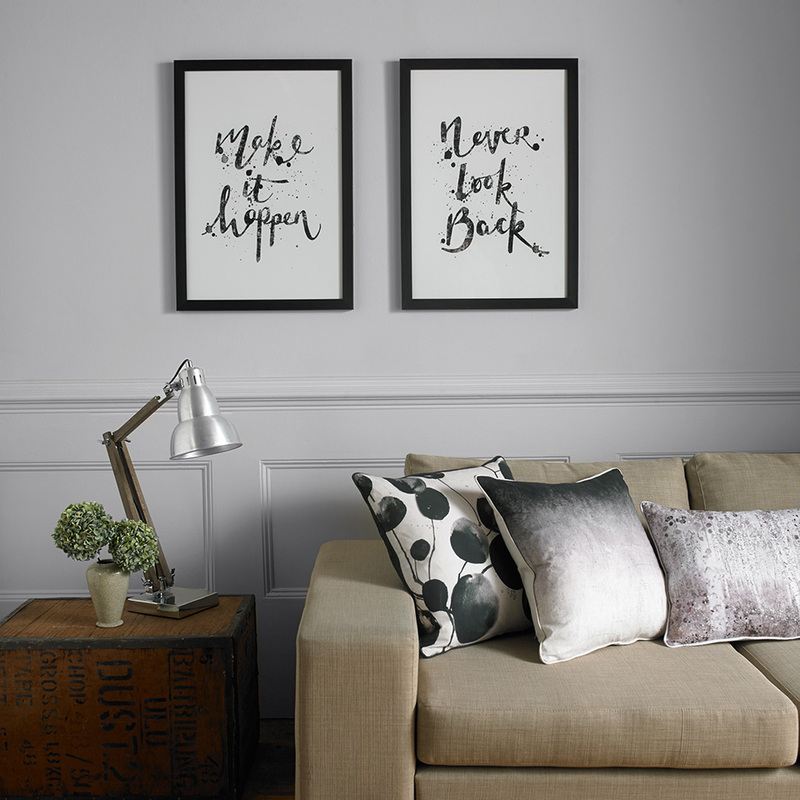 Pair it with our black ombre cushions that complement a monochrome colour scheme effortlessly. Aesthetics aside, soft furnishings are designed to give each room a welcoming feel and provide a setting that is comfortable and luxurious. Our cushions are the perfect home accessory to scatter over sofas, beds and a chaise lounge when you want to create rooms that boast optimum comfort without compromising on style. If you are enhancing a neutral theme, opt for a variety of textures with our metallic knit throw, Innocent neutral rug and antique lace cushion. The difference between a drab room and a fabulous one usually comes down to the smallest of details and cushions, throws and rugs make it simple and affordable to update your home décor with the seasons without undergoing a complete décor overhaul. Colour trends come and go each year so updating your décor to reflect the ever-changing trends isn’t cost effective. 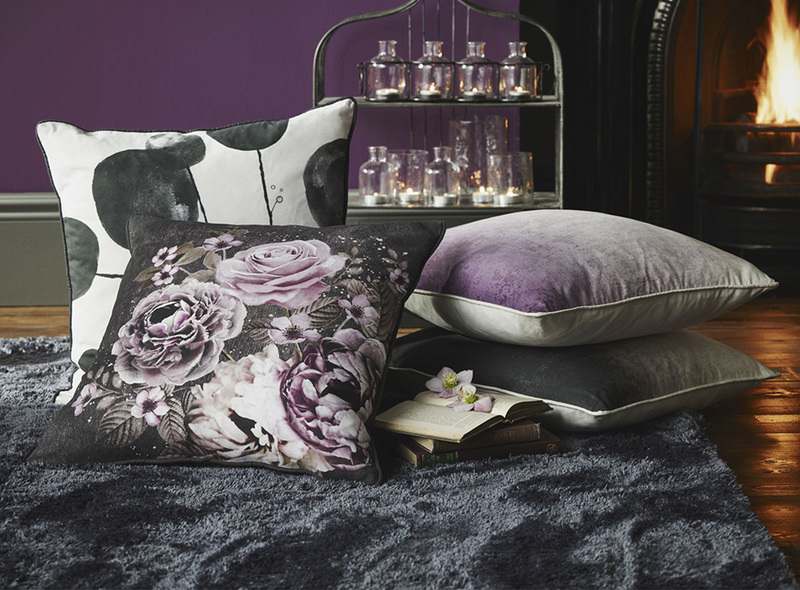 For example, throughout the warmer months you may wish to choose stone coloured accessories such as our Neutral Ombre cushions and switch to dark dramatic greys and deep purples with our Mulberry Ombre cushions during the colder months. Enhancing your home with soft furnishings is simple thanks to our helpful tips and tricks.